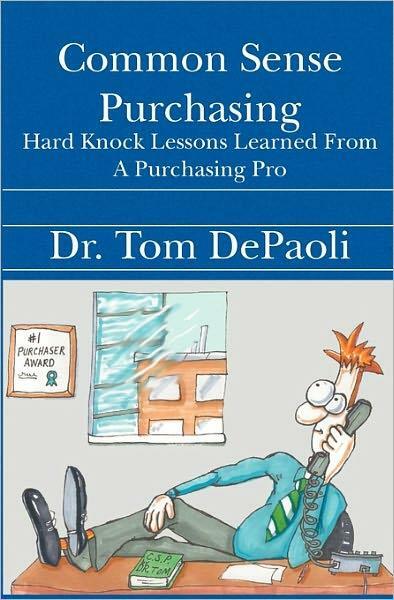 Common Sense Purchasing by Dr. Tom DePaoli is a no holds barred practical guide to purchasing and negotiations success. If you don’t like consultants, buzzwords and theory this book is for you. Straight forward and to the point you will not be able to put it down until you have finished the purchasing journey. This book will guide you through the transformation of purchasing into a supply management or supply chain organization. A classic journey to success. Reviewed as one of the top 5 must read purchasing books! PowerPoint presentation (silent) on the book below shows the key concepts.